There seems to be some hysteria in the air over a report on how Nest is working with utility companies to curb energy consumption. 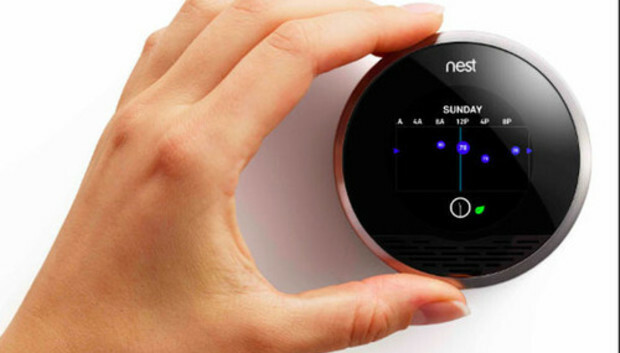 Some reports have even suggested that Nest is selling data to utility companies as a way of generating sustained profits. This sounds pretty evil, and makes for some catchy headlines. But it's not true. The reports all stem from a Forbes story about how Nest and Fitbit are turning their data into new sources of revenue. While Forbes' report is accurate, and worth reading, it doesn't actually claim that Nest is selling user data. In fact, Nest cofounder Matt Rogers specifically says in the story that utilities do not get access to the data from its smart thermostats. "We don't let utilities control the thermostat. We don't share the data with the utility. We won't work with them if they don't agree," Rogers said. Here's what is actually happening: Nest has struck deals with several utility companies on a few energy-saving programs, which in turn save money for both the utility and the customer. One program, called "Rush Hour Rewards," gives customers $20 to $60 off their energy bills when they let Nest limit air conditioner use on hot summer days. Nest says it will crank the AC ahead of peak usage periods to try to keep users comfortable, and the users can still override these settings or opt out of the program. Another program, "Seasonal Savings," allows Nest to make tiny temperature adjustments in any season, saving customers up to 10 percent on heating and cooling. Again, customers can override these temperature changes or opt out entirely. Why are some utility companies wiling to pay both Nest and customers for these programs? As an April 2013 Wired piece explains, these companies have legal limits on how much they can charge customers for energy, even when the companies are paying much higher rates at peak times. By giving Nest the ability to curb peak usage, both users and utility companies can save money, and Nest can get a cut of those savings. Forbes' story doesn't have any major new revelations about Nest's data practices; it's just summing up a broader trend of companies making money by quantifying people's behavior. As a magazine piece, it's great stuff, but it's nothing to freak out about.